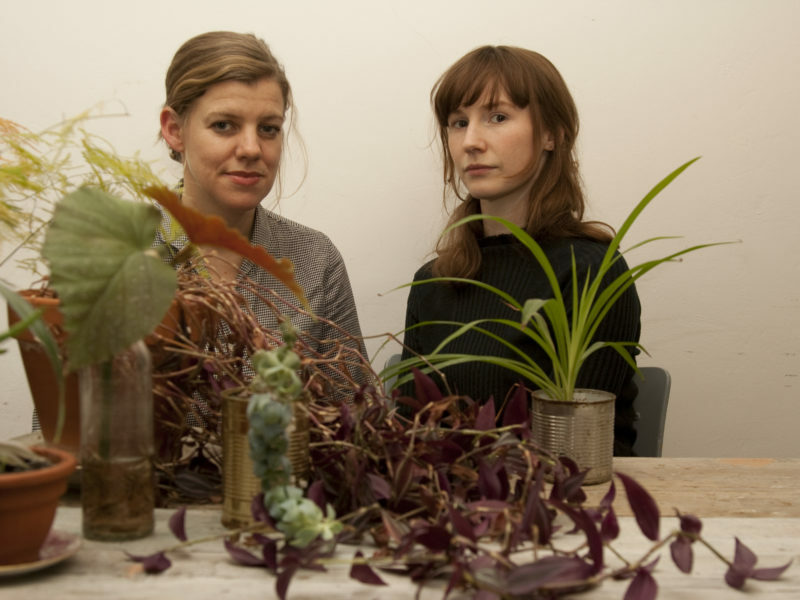 Under their Native Instrument moniker, Stine Janvin Motland and Felicity Mangan, blend abstract vocals with wildlife sounds to create their immersive insect techno. CAMO, the debut release of the duo, has to be one of the most pleasantly alienating records of the year, presenting four pieces which absorb the listener into the imaginary biotopes from which they emerged. Native Instrument has been active for a while now. How did your collaboration start? to mimic the sounds of animals. Then we both started to use samplers that allowed us to be more interactive and use the digital effects of the machine when playing live. There are a lot of similarities between the animal sounds and electronic instruments and techno music so we came up with the ‘bug beats’ sound while also referring to electro acoustic techniques through our approach to composing. Native Instrument combines abstract vocals with field recordings of animals. Not the most obvious combination, yet the pieces on CAMO sound very organic to me. Was that hard to accomplish? What’s the process behind your musical language? a balance of pre-recorded sounds and effects and live processing. How does a Native Instrument piece originate? Is improvisation the basis of your workflow? The basis of our workflow is improvisation — we record improvisations in the rehearsal studio, then structure the material on the computer. We often sit next to each other and work on the compositions and pass them back and forth until we are happy with a structure. After this process, we go back to the rehearsal studio to prepare a live version of the new material, so the studio production becomes the score for our live pieces. The voice and the sampler are very different instruments. Did playing as a duo influence the way you use your own instruments? Adopting different techniques, for example? I don’t find the sampler and the voice so different, they are both very intuitive and direct. I treat the sampler as an extension of my voice, and the voice as an extension of the sampler. We both play samples that are a mix of prerecorded voice and raw and processed animal recordings. I think the work with Native Instrument affected our vocabularies in the way that we are searching for those sounds that don’t sound like what they really are. Your work derives from the ultimate natural resources: the sound of animals and the human voice. These are full of mutual references. Is this something you work with, or are you more interested in the sound as such? Yeah, we work with natural resources to produce music by sampling field recordings, found animal sounds and the voice. We are interested in less obvious sounds, sounds that can be heard as either animal, voice or electronic. In CAMO Stine’s voice and the animal sounds are mixed to a similar level. To some extent, the sounds behave similarly as insects that mimic and camouflage their appearance to blend into their environment. One could say that Native Instrument brings together three evolutionary stadia: the animal, the voice, technology. The tension between voice and technology is quite a big theme in a lot of vocal poetry. Is this something you want to explore with Native Instrument? I’m interested in the qualities of the voice that are electronic sounding, not so much in what electronics can do with the voice, because that would be almost anything and everything. I like to move in and out of a fixed frame, not necessarily to create confusion, but to trigger the imagination. Somehow, the sound of CAMO is calming and alienating at the same time. Is that your intention? Is the effect your work has on the listener a concern? And in a live context? We are always searching for a hybrid sound, something not too literal, and turn that into music suited for dancing, relaxing and fantasising. We use material that is often treated very seriously, like dark techno beats and scientific field recordings, to create our own, not so serious Native Instrument sound; like using the sound of a mating frog to imitate the typical moaning woman in a deep house track. or marking his territory, to create a bass line. Stine, a few years ago, you played a solo show for KRAAK, in which you were not on stage, but moved through the building wearing a microphone. Is the performative aspect important for Native Instrument? a concert. Our performances with Native Instrument are not that conceptual. What’s probably essential in appreciating our sound is the idea of opening your ears to a soundscape that tells you stories of familiar things in an unfamiliar context. Felicity uses a lot of native Australian sounds, that generate strong associations for someone who has experienced the natural surroundings in Australia. Our audiences often tell us how our music evokes the presence of the jungle, forest, reservoir or whatever they recognize as nature, but with a new layer of content added to the association.